Thank you for attending our, The Department of General Services (DGS) and DC Housing Authority (DCHA), community meeting concerning the redevelop of the 1125 Spring Road site. The Surplus Hearing was held on Tuesday, June 17, 2014 and was the first step in the disposition process which allowed us engage residents and to receive public comments. We understand there are a number of concerns referencing this project to include the appropriate mix of income levels to include in this project. 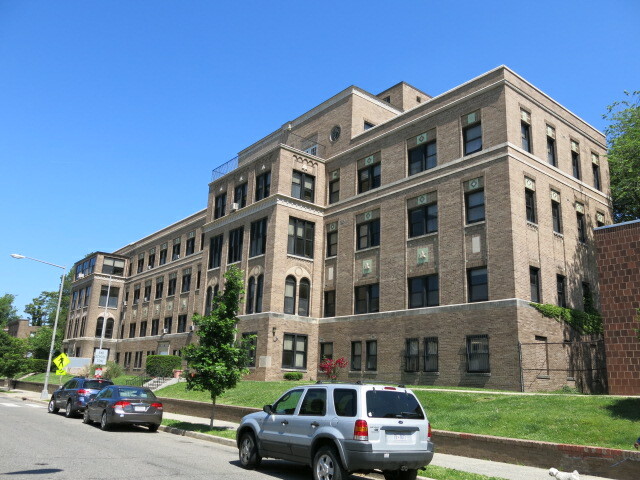 It is important to note that once the surplus of the Hebrew Nursing Home and the Paul Robeson School is completed, the site will be made available for DCHA to develop. At this time, a Housing Development comprised of mixed income levels that include Workforce Development, Permanent Supportive, and likely Market Rate Housing as well as senior housing is being considered. The exact mix of housing has yet to be determined. As the project continues to develop there will be future opportunities for community members to provide additional input. In the interim, DGS has developed a survey to gather residents feedback on the percentage of mix income housing units residents would prefer be developed at the site. We ask that you take the survey by the cob Friday, July 18, 2014 and please feel free to share this link with your family and neighbors. We have also posted on our DGS website the Surplus Hearing presentation from June 17, Meeting Minutes and a copy of the Sign-In Sheet. This survey is not the best written. It’s not clear if the first question about affordable housing is meant to then be broken down into smaller sets after? Also, the 0, 10, 25, 60, 100% options are odd. The survey would be better constructed if it actually used a formula that made you add up the percentages of each part. As its written, someone could go through and say that everything should be 60%. as a resident of the area, please no more low income housing in the area. we have enough problems with the existing housing on 14th st and georgia ave. I totally agree. I don’t mind a small (~15%) set aside for subsidized, but there needs to be some legitimate market rate properties in this area. That survey is so incredibly whack.0, 10, 25, 60, and 100%? WTF? Survey monkey actually allows you to design a survey table where you can allocate 100% across the categories so that it adds up to 100%. This is basic survey design. That said, it seems like this survey was purposely designed to give muddied results. The survey is pretty poorly designed, but everyone who’s interested in this issue should fill it out. Better to give DGS some feedback via a poorly designed survey than for them to claim that there were no “community objections” to their plan. While I appreciate the outreach via the Internet, The results cannot possibly be taken as anything approaching representative of the community in any way. The poll is not a random sample of residents. It targets those most likely to have Internet connection, and most likely to be monitoring social media/email. It is open to ballot stuffing, I could probably proxy in to vote multiple times on multiple IP addresses. Or a whole bunch on one, I don’t know because I felt it would not be moral to try. As others have pointed out, it is curiously worded, giving an “interesting” choices for results. Agreed with all of the points above about the survey’s flaws, but it’s better than nothing. Until people at the June 17 meeting at Petworth Library pressed DGS to survey residents, DGS seemed to think that that meeting by itself constituted a sufficient chance for “community feedback”… which was ludicrous. The meeting was only an hour and ten minutes. (It was listed as 6:30-8:30, but curiously, DGS seemed to think the ending time was supposed to be 7:30). There were about 60 people there, only about 10 of whom had a chance to speak… and there was no way of knowing whether those 10 voices accurately represented the 60 attendees (let alone all of the area residents), or just the ANCs and the most assertive individuals. So at least the survey offers _some_ opportunity for neighbors to provide feedback. Very amateurish survey. Embarrassing in fact. A high school student could do better. The fronts of 1125 and 1131 must be sustained for the historical meaning. All else can go. I would like to see row houses where the Robeson school is (like behind Park Place), and then a modern apartment building covering the lots containing the existing structures at 1125 and 1131 that integrates the historical facades. — It supplies mixed income opportunities to give people an opportunity to succeed. The community needs to speak up, or DGS is going to plow right ahead with the DCHA/100% low-income housing plan. It seems like DCHA is trying to push this through during the window in which Ward 1 has no proper representation on the City Council. Lame duck Graham has limited power to push his residents’ interests (and apparently even less of an inclination to do so than in the past). Presumptive future Council member Nadeau hasn’t even been elected yet, so she has no official means of advocating for her (potentially) future constituents. At-large Council members are the only option in reality, and they are getting demands from all over the city that they’re trying to balance and, as observed in another comment, many of those demands are in direct opposition to the interests of the community that this project will directly impact. The totally sloppy survey less than 48 hours after the last meeting seems to be more evidence that DCHA wants to get this signed and sealed ASAP. Bravo to them for picking an opportune time to push through an unpopular initiative. Sorry, misread the article that there was a meeting this Tuesday… so a month after the meeting, but it’s still a dreadful survey and the rest of my comment stands. This Just In – Seriously Looks Like Rain!